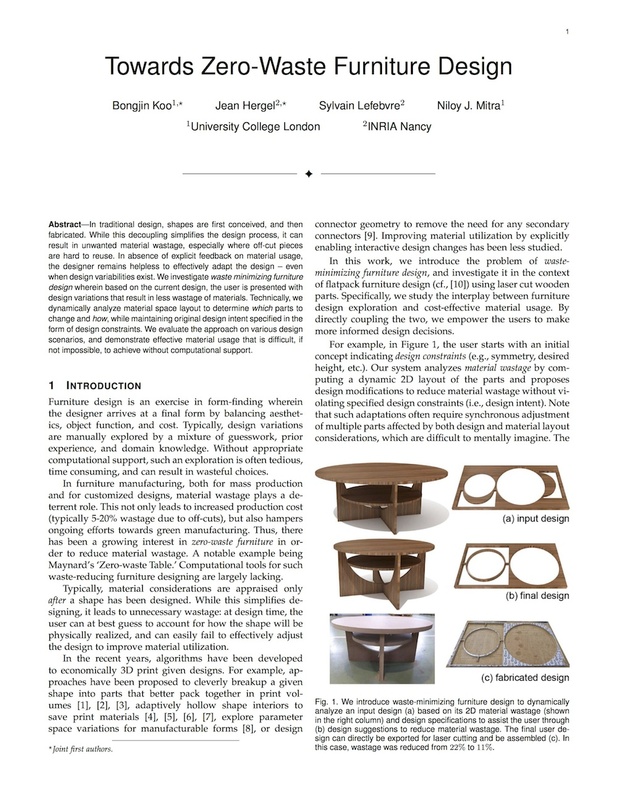 Figure 1: We introduce waste-minimizing furniture design to dynamically analyze an input design (a) based on its 2D material usage (see inset) and design specifications to assist the user through (b) design suggestions to reduce material wastage (see inset). 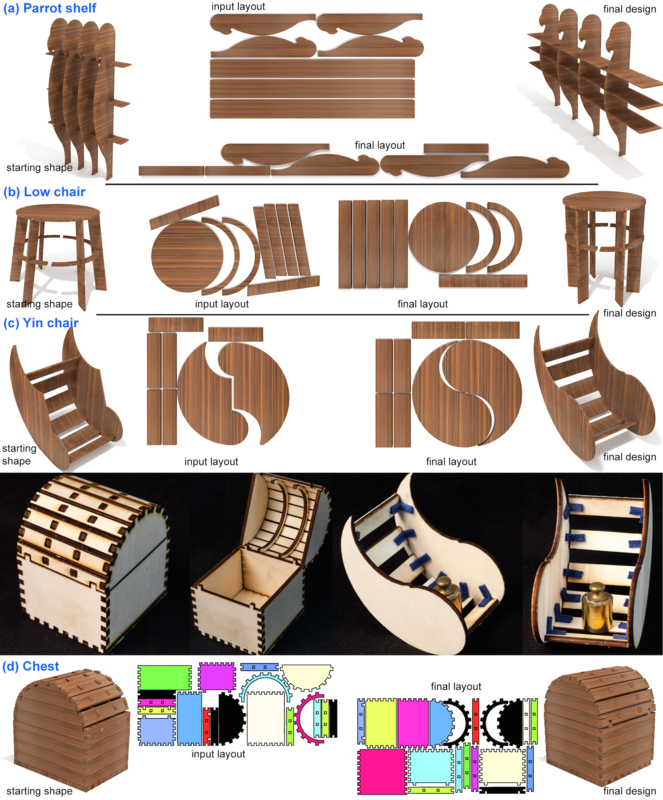 The final user design can directly be exported for laser cutting and be assembled (c). In this case, wastage was reduced from 22% to 11%. In traditional design, shapes are first conceived, and then fabricated. While this decoupling simplifies the design process, it can result in unwanted material wastage, especially where off-cut pieces are hard to reuse. In absence of explicit feedback on material usage, the designer remains helpless to effectively adapt the design – even when design variabilities exist. We investigate waste minimizing furniture design wherein based on the current design, the user is presented with design variations that result in less wastage of materials. Technically, we dynamically analyze material space layout to determine which parts to change and how, while maintaining original design intent specified in the form of design constraints. We evaluate the approach on various design scenarios, and demonstrate effective material usage that is difficult, if not impossible, to achieve without computational support. Figure 2: Designs created using our system. Each design is shown with initial shape, starting layout, optimized layout, and final design.